It’s that time of year again! You better believe it, Santa Claus is coming to town! 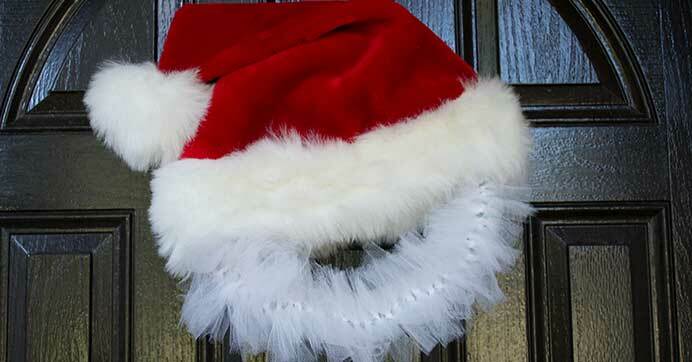 Welcome him and this merry season into your home with a Santa wreath. Your family will be giddy with excitement this time of year and any hint of Santa adds to the merriment! With just four supplies, you can craft this easy-to-make wreath using floral foam from Dollar Tree. No difficult assembly required, simply knot deco mesh around a floral wreath form for his beard and top it off with his signature hat. This is a fun festive spin on traditional wreaths, one your kids will adore!